those cells to form a diploid cell. cell must decrease by half. • Meiosis produces cells with half the number of chromosomes as the original cell. 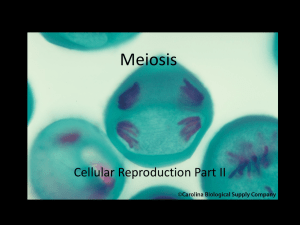 • Meiosis I is the first round of meiotic division, while meiosis II is the second round. phase (DNA replication), and the G2 phase. and the nuclear envelope breaks down. homologous pairs orient themselves randomly. • In anaphase I, centromeres break down and homologous chromosomes separate. separates into two haploid cells. and new spindles are formed. microtubules and move toward opposite poles. begin to decondense; the two cells divide into four unique haploid cells. 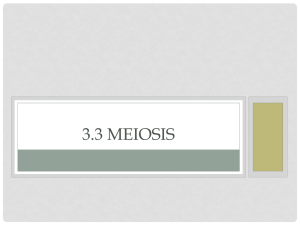 while in meiosis, diploid cells are partitioned into four new haploid cells. produced by meiosis are different because crossing over has occurred. to the survival and reproduction of the population. results in an increase of genetic diversity. life stage; the only haploid cells produced by the organism are the gametes. join to form a diploid zygote. 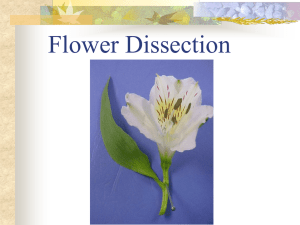 have both haploid and diploid multicellular organisms as part of their life cycle. chromosomes, and fertilization, involving the fusion of two gametes and the restoration of the original number of chromosomes. calves (a).Joshua trees produce seeds from which Joshua tree seedlings emerge (b).Adult flamingos lay eggs that hatch into flamingo chicks (c). by a protein lattice called a synaptonemal complex and by cohesin proteins at the centromere. over 8 million possible combinations of paternal and maternal chromosomes. the midpoint of the cells in metaphase II.In anaphase II, the sister chromatids are separated. resulting from meiosis are haploid and genetically distinct.The daughter cells resulting from mitosis are diploid and identical to the parent cell. zygote.The zygote will undergo multiple rounds of mitosis to produce a multicellular offspring. zygote that becomes the sporophyte. A) Meiosis produces diploid cells from haploid cells. B) Meiosis fertilizes a sperm and an egg cell. C) Meiosis doubles the number of chromosomes in a cell. D) Meiosis results in a reduction of chromosomes. How is genetic material exchanged during meiosis? C) Microtubules attach to fused homologous chromosomes. At what stage do homologous chromosomes separate? 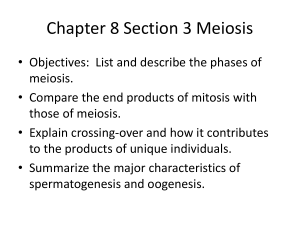 Which of the following is a result of meiosis II? B) Sister chromatids separate and four haploid cells are created. D) Sister chromatids separate and two diploid cells are created. Which of the following occurs in both mitosis and meiosis? 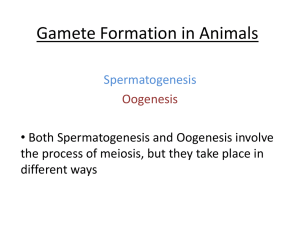 A) in many animals, fragmentation is the sole mode of reproduction. B) genetic diversity offers offspring a greater change of survival. without the requirement of a partner. Which is true about the alternation of generations life cycle? A) All of these answers are true. 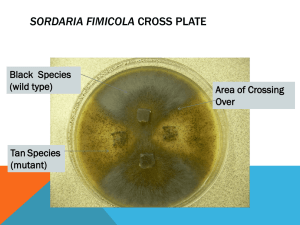 B) It is utilized by fungi and some types of algae.